Are you ready to take graphic design to the next level? This set includes the following images on 300dpi. 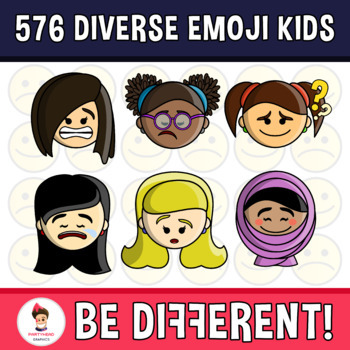 – 24 kids characters (12 boys and 12 girls). 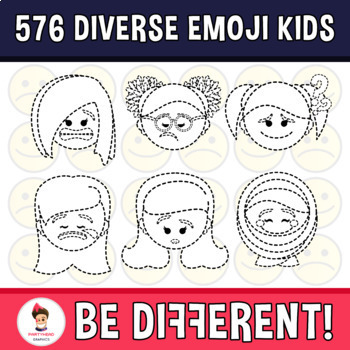 – 576 emojis (24 kids X 24 emotions). – Tracing version for all. This set is included in my Entire PartyHead Kiddos Section (Lifetime License). 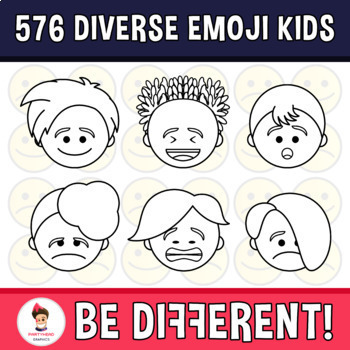 Get all my future Kiddos clipart sets for free when you buy it. This set is included in my Entire Emoji Section (Lifetime License). 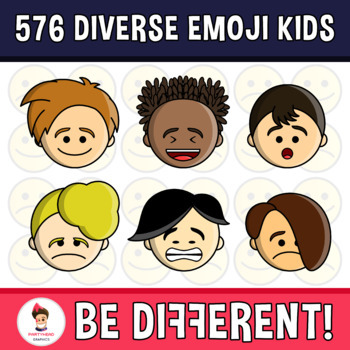 Get all my future emoji clipart sets for free when you buy it.